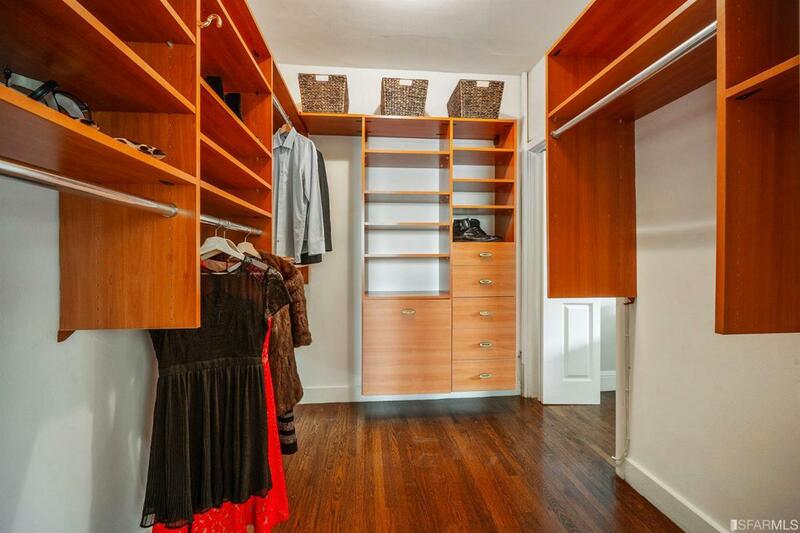 Lovely, Sunny 1 bedroom, 1 bath condominium in an elegant boutique 1924 building. 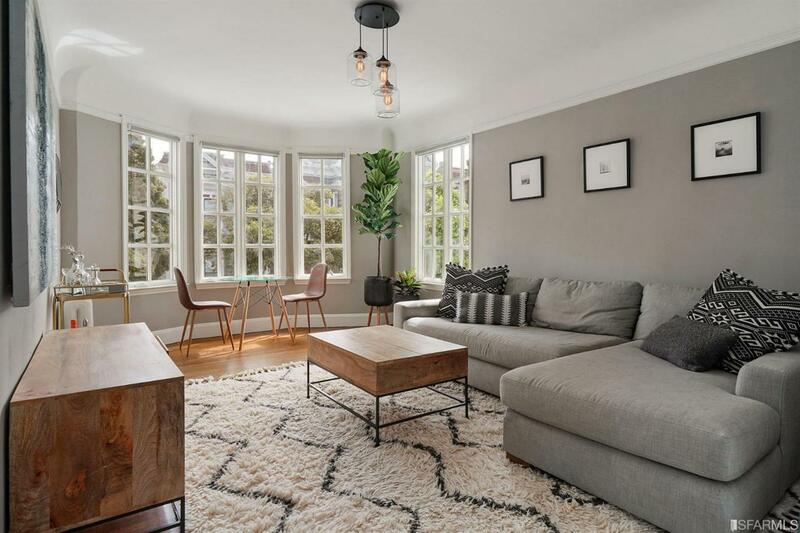 This spacious corner residence features a large entry foyer, gracious living room with dining area in the bay window, generous bedroom with an extra-large walk-in closet, remodeled kitchen & bath plus a closet with a window presently used as an office. 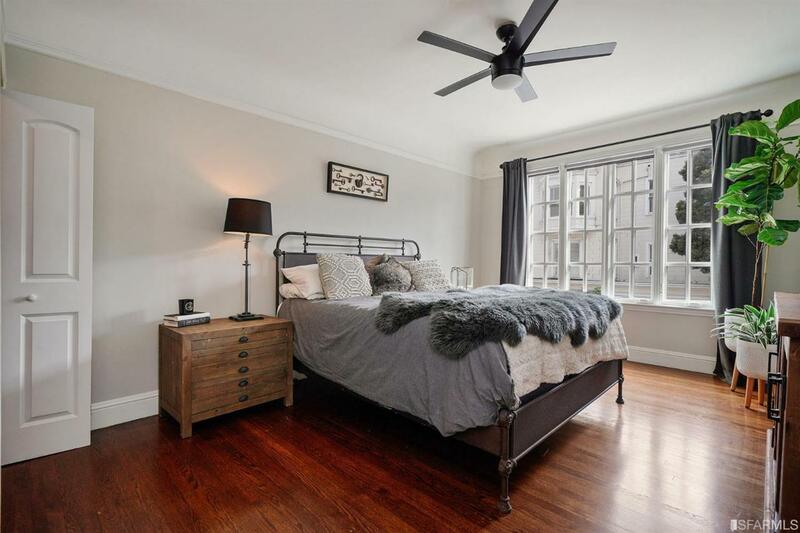 Charming period details-hardwood floors, 9 foot coved ceilings and moldings. This attractive 21 residence building has a common laundry area, bike storage and roof deck with beautiful city views. 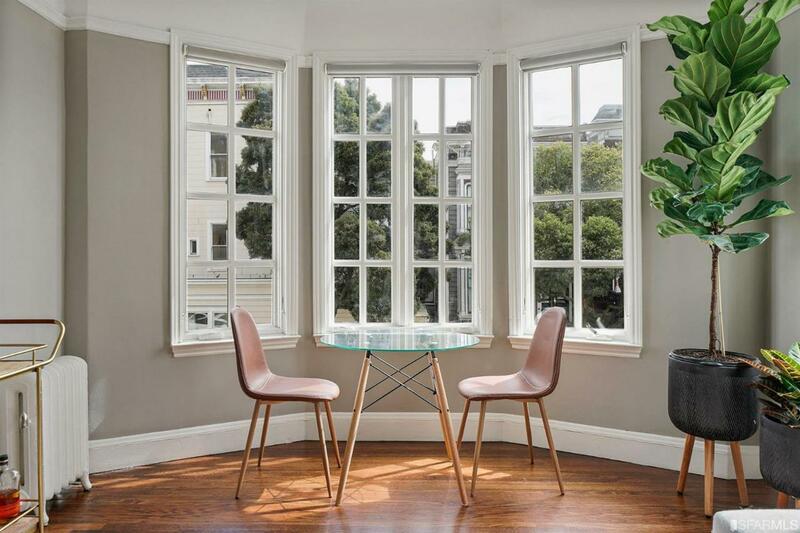 Ideally located a short walk to Fillmore Street's vibrant restaurant and shopping scene and close to tech bus stops and public transportation-the very best of city living. Available for lease 2 car tandem parking in the building for $300 a month. The soft-story work has been completed. Pet policy allows for one cat. Monthly HOA Fee of $526 includes water, gas, heat, professional management, building insurance and building maintenance. Listing provided courtesy of Carol Goldberg of Sotheby's International Realty.